Is blockchain distributed ledger technology the new internet. Have you ever heard about the blockchain distributed ledger technology with respect to the bitcoin and cryptocurrencies. The blockchain technology came into existence with the help of bitcoin mining named after the inventor of it Satoshi Nakamoto. 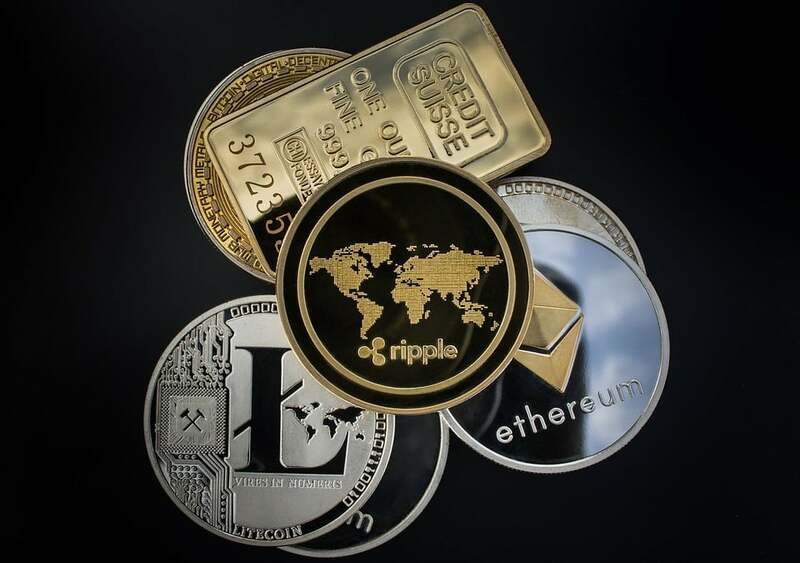 The blockchain distributed ledger technology is the main element of the different cryptocurrencies without it bitcoin come into existence. However adopting to the technology might be very useful and improves the status of business economics.It also scales your interpersonal skills i.e how well you optimize to use the available features in the market. Below comes to the step and step guide on the blockchain distributed ledger technology. In general sense blockchain is the growing list of records called blocks, linked with the cryptocurrencies. Here each and every block holds the cryptographic hash of the previous block, a timestamp and the transaction data which are represented in the form of a Merkle tree. The blockchain is also a distributed ledger which records the transactions between any two parties efficiently and verifiable format. As a blockchain distributed ledger it is managed by the peer to peer network adhering by a protocol for internode communications. Once the data is recorded it cannot be altered without changing its subsequent blocks and also requires the consensus rule to be applied. Moreover the blockchain was invented by the Satoshi Nakamoto in 2008 to serve the public, the distributed ledger of the cryptocurrency bitcoin. It helped to solve the double spending problem without the need of any central authority or server. The blockchain bitcoin design was inspired many other applications as well. There are many companies which use the blockchain ledger technology. From the security point of view, there are blockchain companies which are open to distributed network across the world for communications. For example IBM, Accenture had diffused the use of blockchain technology in their services. Read: How to build your own blockchain architecture? Here you will get to know how the blockchain works and the basic structure of the blockchain. Blockchain helps to verify and audit the transactions inexpensively. The blockchain database is managed by the peer to peer network and the distributed timestamp server. The main characteristics of the blockchain distributed ledger technology are to remove or reduce the infinite reproducibility from the digital assets. It is a value based protocol for exchanging the data in traditional formats. Blocks: Blocks which hold the valid transactions that are hashed and encoded in a Merkle tree. Each and every block has the cryptographic hash of the previous block. All the blocks are linked to form a chain and keep the integrity of the blocks. Block Time: The block time is the average time taken by the network to generate one extra block in the blockchain. A Hard Forks is a new rule change which validated according to the software upgradations. 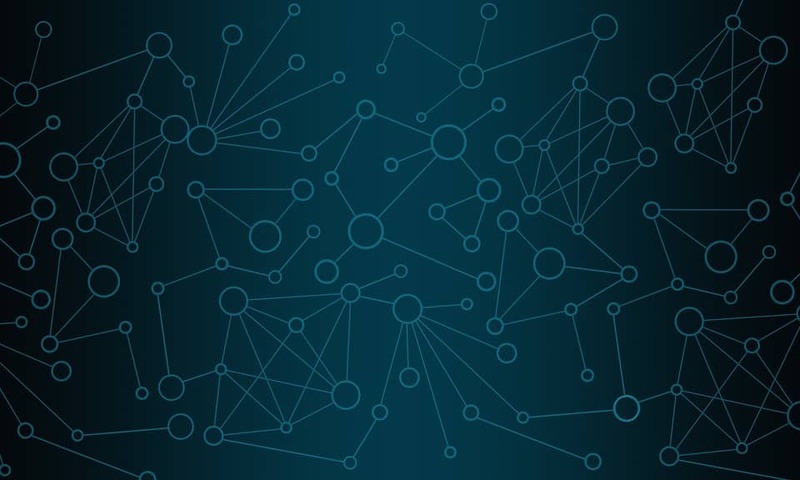 Decentralization: With the decentralization concept it reduces the risk of data being at central and distributed across all over the network. The decentralized blockchain uses the ad-hoc message passing and distributed networking. Durability and Robustness: It stores the blocks of data across the network where there is no single point for failure and there is no central authority to control over it. Transparent and Incorruptible: The blockchain lives in the state of consensus rule and automatically checks for every ten minutes. It is a self-auditing ecosystem of the digital asset or value. Here the data remains in a transparent mode throughout the network and cannot be corrupted because it requires huge computing power to override the network. A simple 3 step process to work on the blockchain technology. It keeps the record of all the data exchanges, the record is the ledger in cryptocurrency world, each data exchange is the transaction. Every transaction is referred and added to the ledger as the block. It uses the peer to peer network for verifying the transactions. Once the transaction is verified it is added to the blockchain and cannot be altered. As a next step you need to explore the concept of the cryptographic keys as the unique identity. 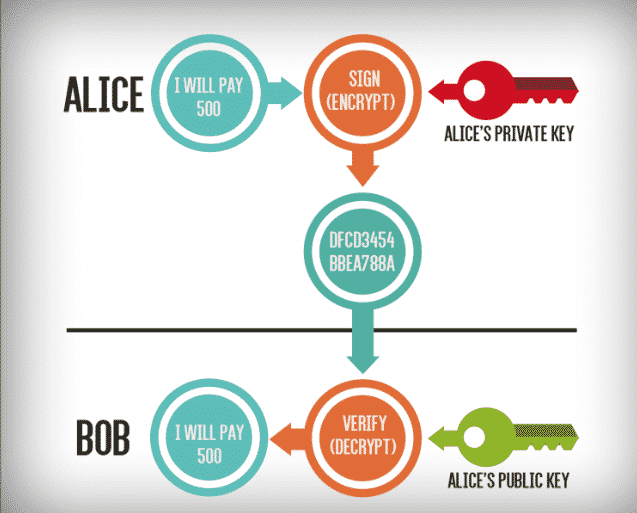 The two keys are private and public keys combined together as the digital signature. With the public key other identify you. The private key helps to sign and authorize the digital actions on behalf of the digital identity when used with public key. Anyone who has the private key can use it to access the digital assets associated with the public key. Here is an example of how to do transactions with those keys. Suppose A wants to send 500 rs to the B. Here A gets the B public key and digital signature of A formed by combining both the private and public keys. The digital signature is sent to the ledger of the blockchain, also include a timestamp and unique identity number. The information in the block is broadcasted across the network when transaction occured. Each transaction will have the same data, digital signature, timestamp, public key and an unique Id as well. Your public key is just a random of numbers and letters but not the signing with brand name. The blockchain distributed ledger technology gives the internet users to create a value as well as authenticate their digital assets which in turn results in building of several new smart applications. The blockchain had been integrated into several areas noticeably the cryptoworld i.e bitcoin. There are many applications or operational products which are using the blockchain as the Proof Of Work. It is used by many of the firms to migrate the risk at the core of the business structure. Smart Contracts based on the blockchain technology might reduce the moral hazards and optimize the use of contracts in general. In the banking sector it is used in speeding up the back office settlements. It is used to create the permanaent, public, transparnet ledger system for compling data on sales, tracking digital use and payments etc. IBM being partnered with ASCAP uses the blockchain technology in music distribution. Blockchain technology also had implemented in the insurance industry as well. The sharing economy and the IOT are set to benefit from the blockchain. It also facilitates the users to take game ownerships and online voting system will be empowered using it. IBm also uses the cloud based blockchain service as the open source Hyperledger Fabric project. File storages are protected as they are distributed throughout the network. It also helps in monitoring the air temperature in a storage facility. AML i.e Ant i Money Laundry and KYC know your customer build strong potential for the adopting the blockchain distributed ledger technology. It also helps in keeping all the records more efficiently i.e land registrations. It also helps in stock trading business. Blockchain distributed ledger technology helps in securing your data and also prevents the loss of data with the intrusion attack. It had many benefits not in IT sector but also one can find good results in each sector such as banks, finance, insurance, government agencies,military etc. You can keep your digital assets more securely with the blockchain.